Not able to log in via "Admin Console"
There are multiple issues for this cause. 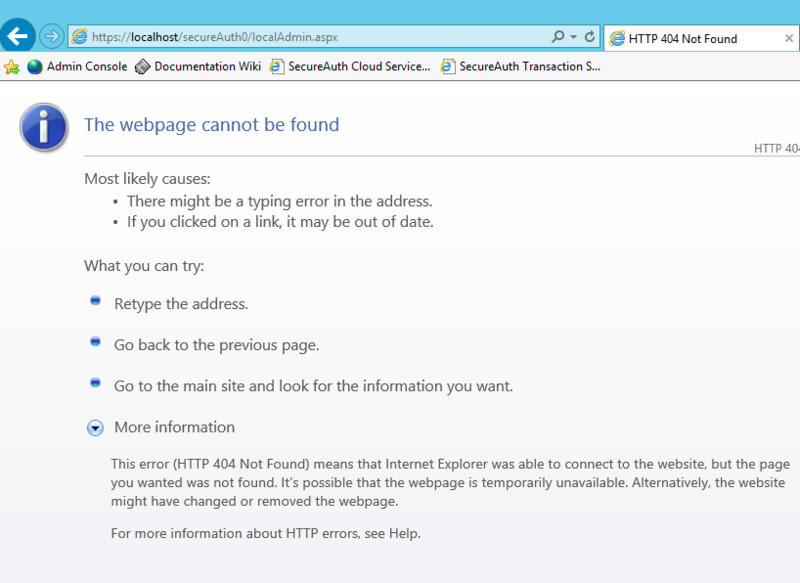 One of the more common reasons is because the proper bindings are not set in IIS. 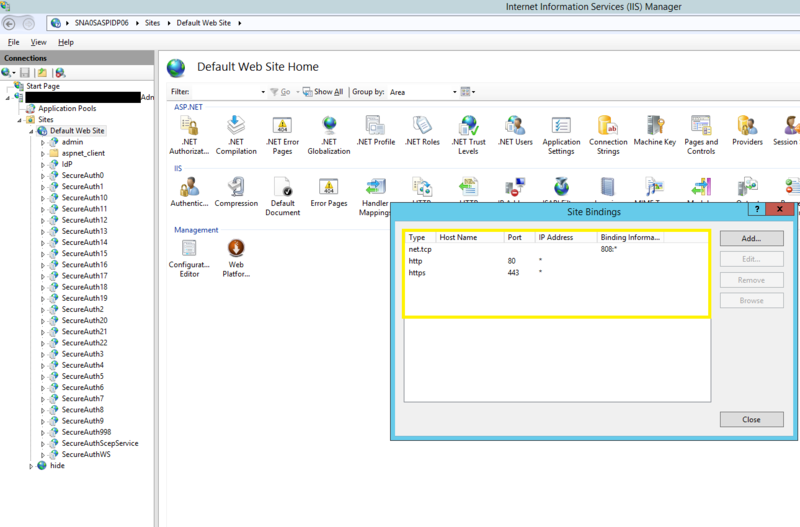 Solution: Go to your IIS manager console, Start Page-->IDP-->Sites-->Default Web Site. On the right side of the screen go to "Bindings"
There should be three bindings on this page. One for net.tcp, which is the transport security protocol, second for the http, which is the required 80 port, and a third for https, which is the required 443 port. If you are missing one of these three bindings, add the missing binding with the "Add..." button. For the "type" dropdown menu select which one you are missing(http,https,net.tcp). Leave the host name blank and make sure the proper port number is entered for the desired binding. The IP address can be left unassigned. If you follow these steps, your bindings should look like the picture above. Go ahead and try to see if this fixes your issue, if not, you can at least eliminate binding as your problem for this issue.